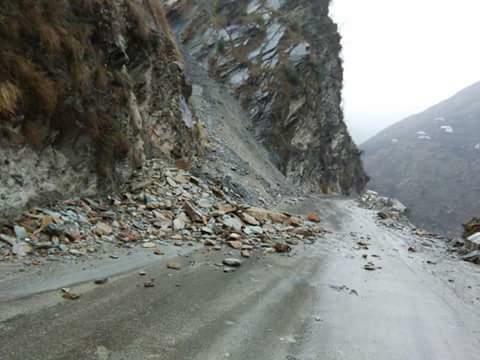 We have suspended traffic movement on the Srinagar-Jammu national highway following landslide at Digdol area of Ramban in Jammu region," a traffic police official told TNN. He said that the Border Roads Organisation (BRO), which is responsible for the maintenance of the highway, has already put into service manpower as well as sophisticated machines to clear the landslide and put through the highway. Hundreds of vehicles, including passenger vehicles, are stranded at various places on the Kashmir highway. However, he said vehicles will be allowed to move towards Kashmir valley once a green signal is received from the traffic police officials and BRO. “The HMVs were allowed to move towards Kashmir till 0100 hrs,” he added.